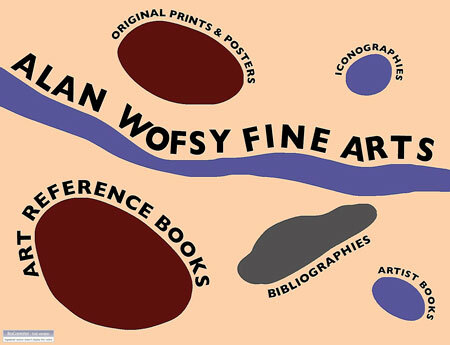 Alan Wofsy Fine Arts began business in 1969 as a print publisher and dealer in antiquarian books and art. Publishing began in 1975 with a succession of catalogues raisonnés, bibliographies, artist books and art reference works. The gallery deals in old master and modern prints and unique works. Examples of Old Master artists include Piranesi, Bosch, Bruegel, Le Sueur, John Skippe, The Master of the Die, Veneziano, Ostade and Goya. Nineteenth Century artists include Steinlen, Forain, Daumier, Gavarni, Renoir, Pissarro, Legrand and Fantin-Latour. Early 20th Century European artists include Denis, Kollwitz, Rouault, Grosz, Picasso, Miró and Matisse. American artists include Pennell, Whistler, Surendorf, Ludwig, Sheets and Dine. We acquired the graphics editions and portfolios published by Kennedy Galleries of mid-20th Century artists such as Baskin, Shahn, Rattner, Levine, Lipschitz, Gwathemy, Minaux, Buffet, Hockney et al., which we now distribute. The gallery also deals in subject matter, such as architectural art, nature, art deco, design, maps, photography, movie posters, Asian art and books, gastronomy and ephemera.